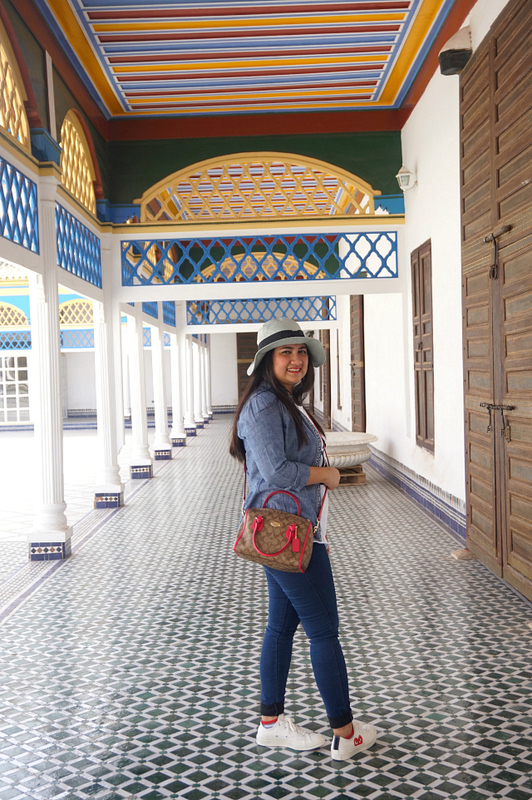 Travelling to Morocco has always been on top of my dream destinations. 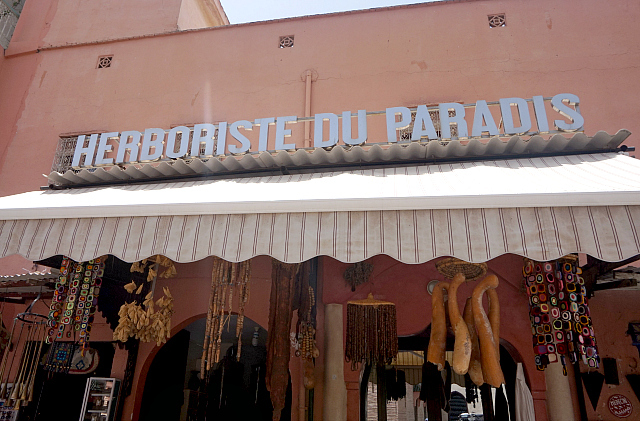 There's just something special about this old North African country that I find irresistible. 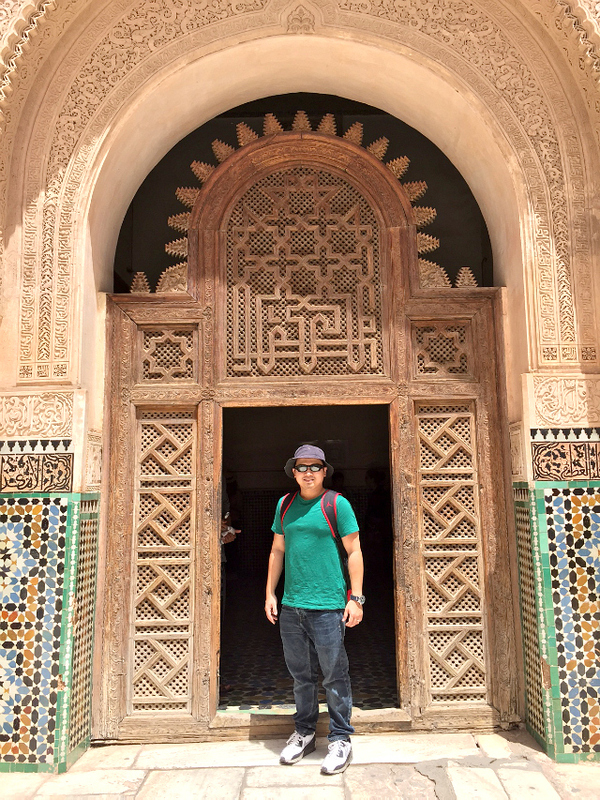 Blessed with both Atlantic and Mediterranean coastlines, its share of rugged mountains, ever famous Sahara desert, and ideal location that's almost a stone's throw away from Europe, the Kingdom of Morocco is especially distinct and really packs a punch when it comes to sites, history, and culture. 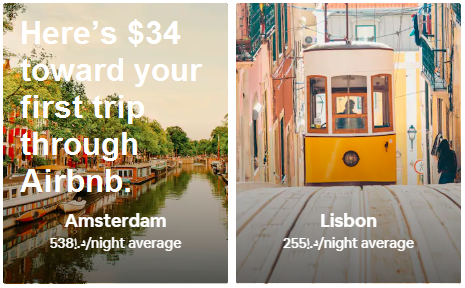 It was a good thing that we did not need to apply for a visa to get there, but plane tickets to get to Morocco from Dubai are generally expensive no matter the season. 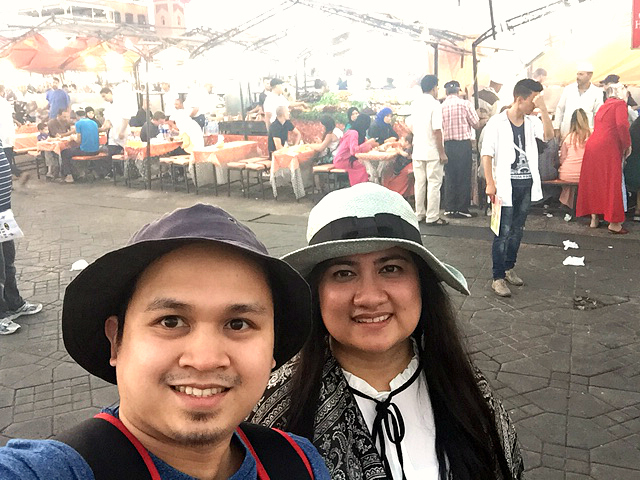 To be honest, I lost count how many times we hesitated thinking that it was a luxury we couldn't afford, an unnecessary expense we could live without, and an experience we would definitely outgrow. I felt like we totally YOLO'ed on this trip and just decided to close our eyes and live the dream. And you know what? It was all worth it. We stayed mostly in the city of lively Marrakesh for five days taking in the intoxicating chaos of Jemaa el-Fnaa for serious food trips, street parties, and a whole lot of people watching. 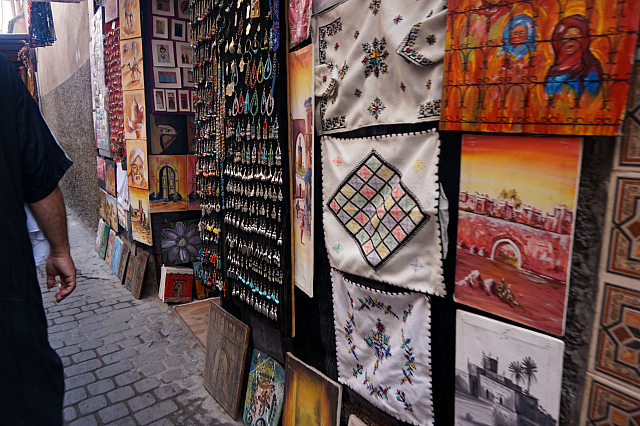 Jemaa el-Fnaa is the main square of Marrakesh where the exuberance of Moroccan culture is best seen and experienced. The square comes extra alive during the night as locals and tourists flock together in excitement. 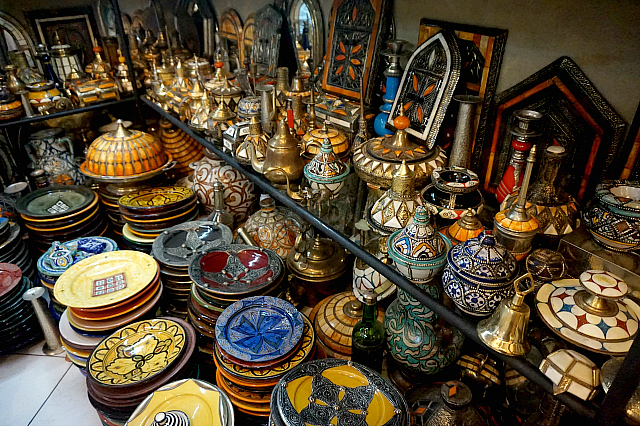 Performers, Arabic storytellers, fortunetellers, and even magicians take the experience up a notch. 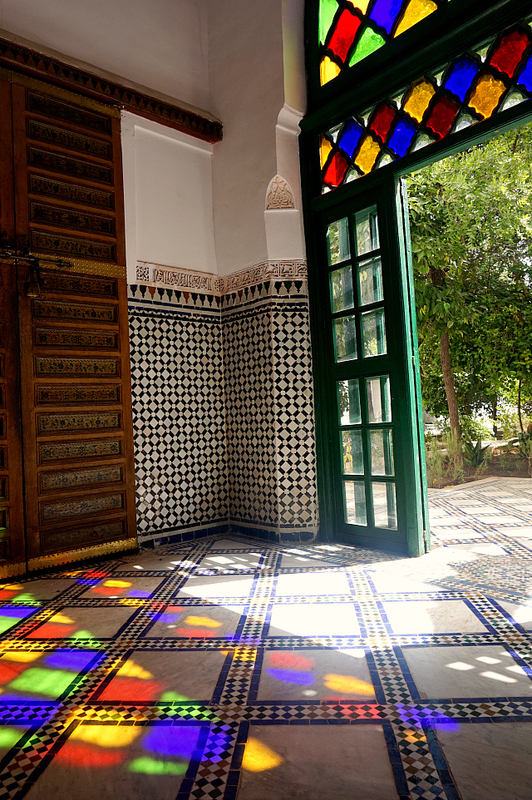 My Moroccan colleague recommended that we stay in one of the humble riads (or traditional big houses converted into bed and breakfasts) near the square instead of a regular hotel to get a more authentic experience and he couldn't be more right. 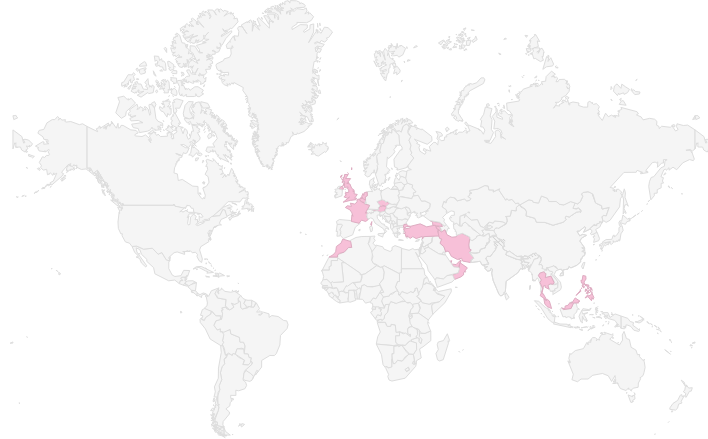 We were right in the middle of where the action is and we're so glad we listened to him. 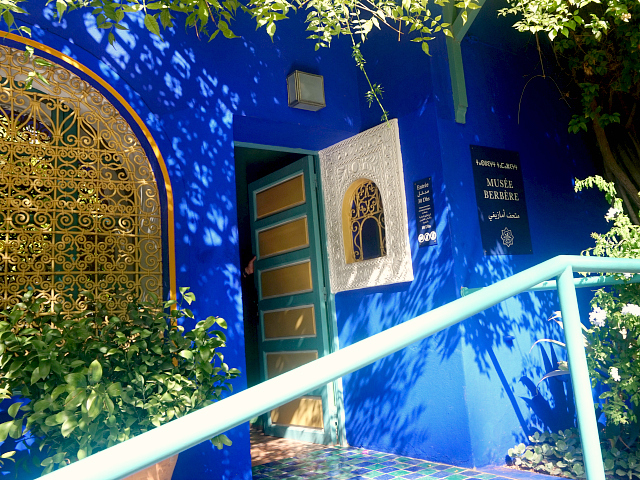 A riad doesn’t look much from the outside, but inside is an entirely different story. 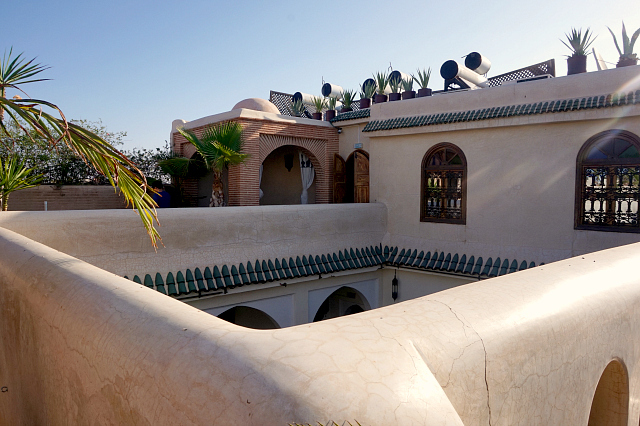 We chose to check in at Riad Granvilier, a mere two minute walk from the main square of Jemaa el-Fnaa. 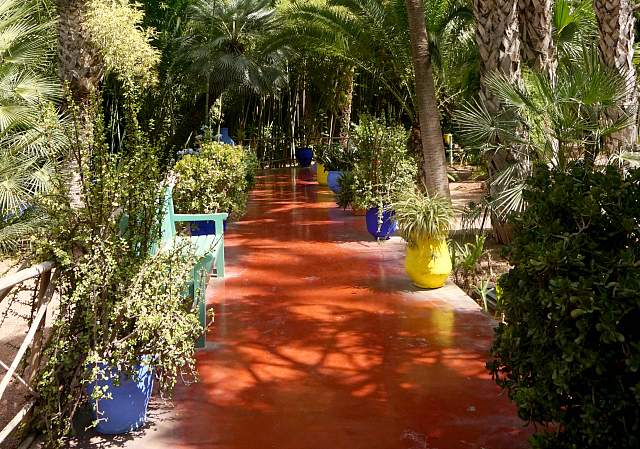 The house only has five rooms all uniquely designed and furnished with traditional Moroccan handicrafts. 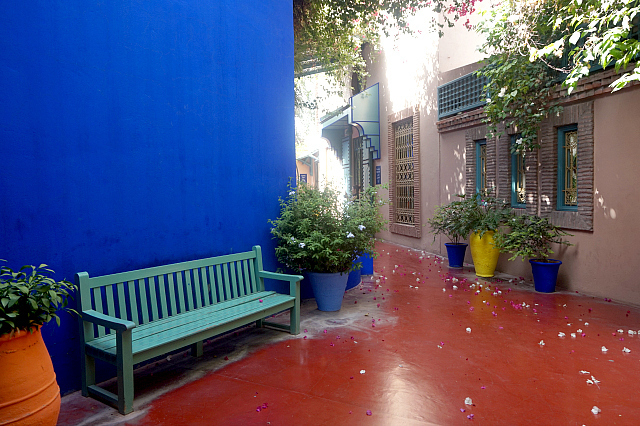 There’s a central courtyard with trees, comfy lounges and small fountain where we usually have our breakfast under the morning sun. There’s also a rooftop terrace, which is the perfect sweet spot to have dinner or relax under the moonlight. 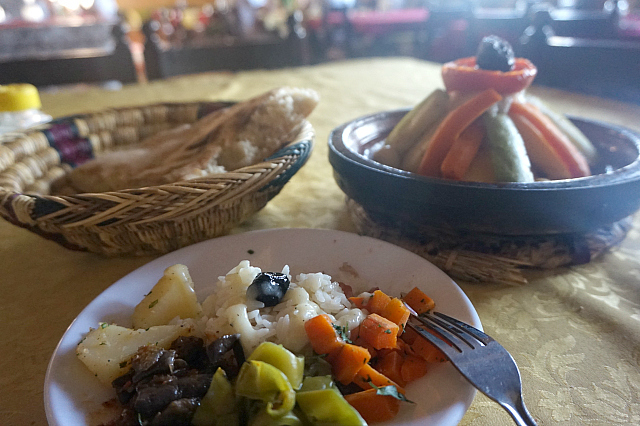 Compared to regular hotels, service in the riad was much more personal and relaxed. I felt like we were just staying over at a friend's house or something. 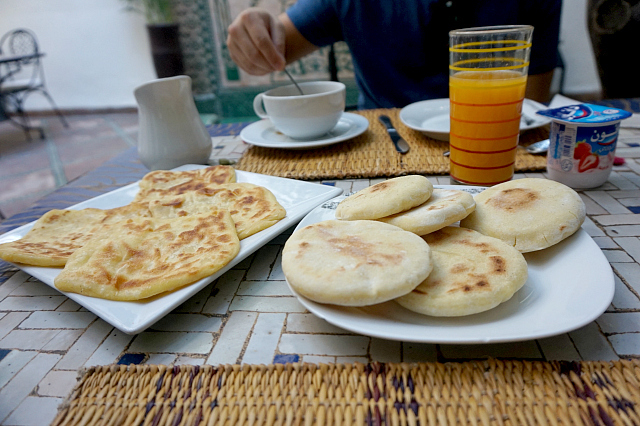 Breakfasts were prepared and served fresh for us mostly consisting of bread, Moroccan pancakes, and of course orange juice. 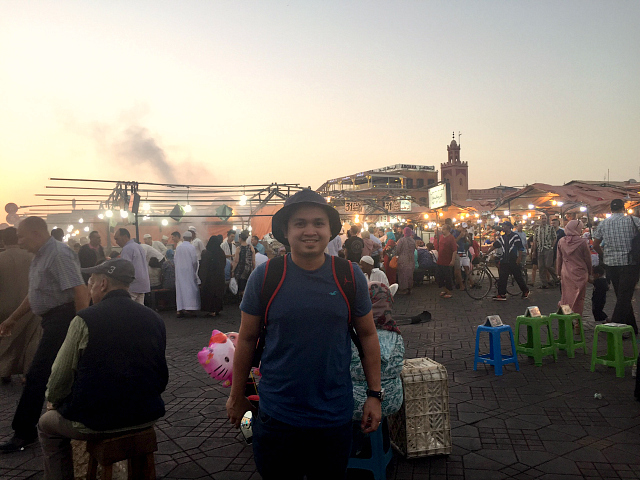 It didn't take long for Riad Granvilier to eventually feel like home after an entire day of sight-seeing and adventure. A basket of our requested fresh fruits would even welcome us in the room every day. 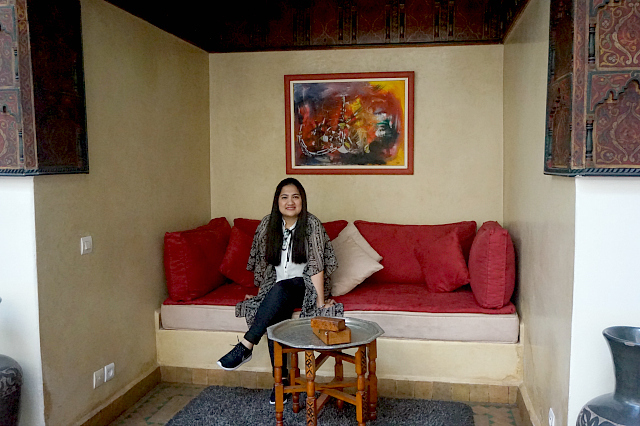 The hotel manager was also nice enough to offer free airport transfers and even arranged our walking tour of Marrakesh and day excursion to Ouarzazate which really made this vacation a lot more convenient for us. The only down side of staying near Jemaa el-Fnaa is that the square gets super jampacked at night which can be traumatizing to be honest. Most nights we had to literally squeeze ourselves through endless people just to get to the street where our riad is located. It was a feat meant for the dauntless and probably the most excruciating and longest ten minutes of my life. 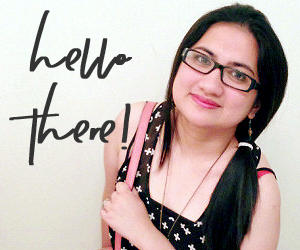 I've been pushed by strangers and even pulled forcibly by persistent vendors. One time, a local henna artist just roughly grabbed me by the arm as I was posing for a photo and tried to drag me towards her spot for a tattoo. Even after I politely declined, she still insisted so much that the part of my arm where she was holding me ended up bruising. 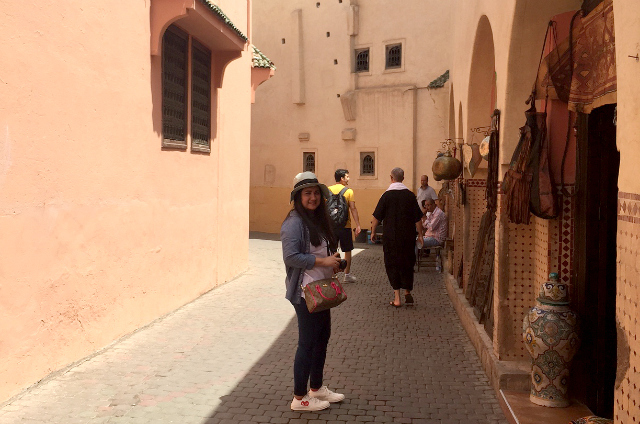 Marrakesh is beautiful, but they surely don't go easy especially on female tourists. So better practice different versions of "la, shukran". This means "no, thanks" and would definitely help you in so many situations. 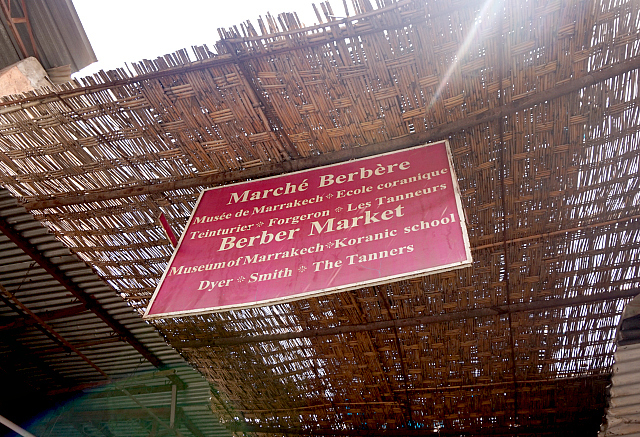 Our first day was spent travelling outside Marrakesh for Ait Benhaddou and Ouarzazate. 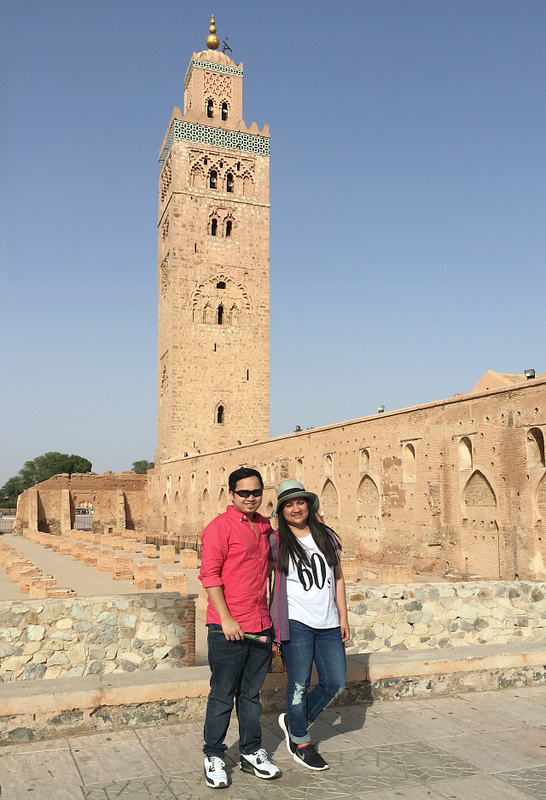 We had so much fun and had a great experience enjoying the beautiful landscapes of Morocco during the road trip and even reliving favorite scenes from Game of Thrones. 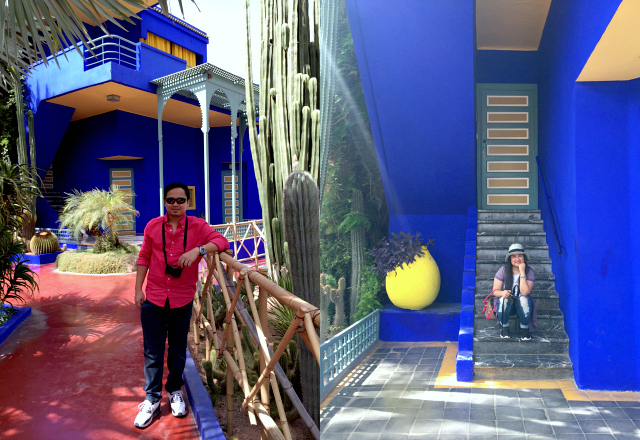 All the days after that were spent exploring Marrakesh. 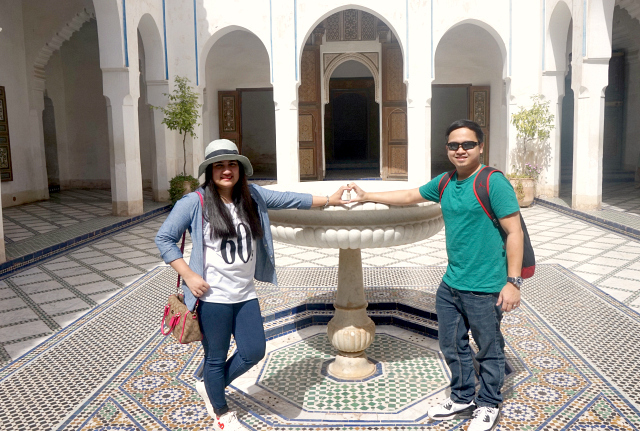 We hired a tour guide to familiarize ourselves with the medina and explore the city. 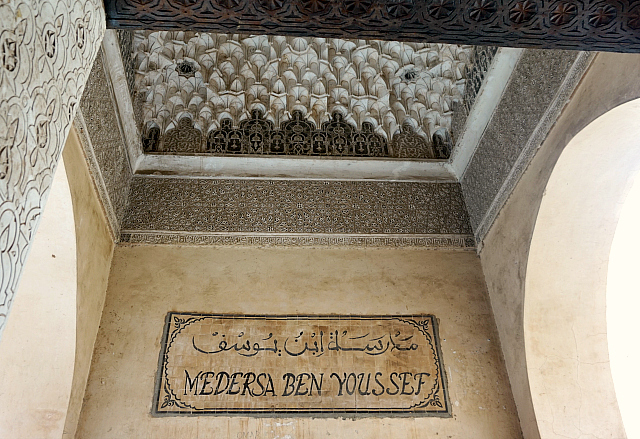 First we visited Ben Youssef Madrasa, an old Islamic college. 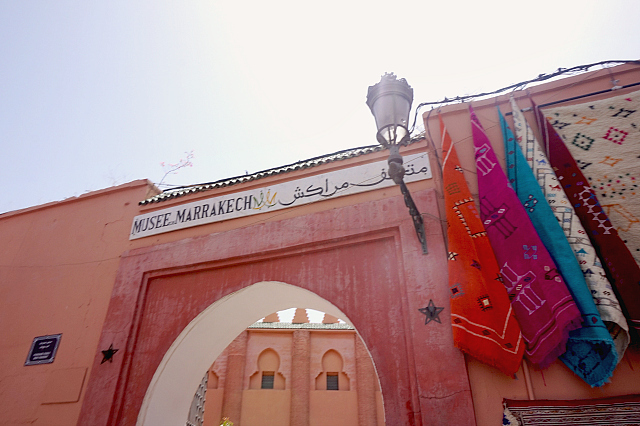 It's the largest one in Marrakesh, but no longer operating since the 60's and now serves as a tourist site for its impressive architecture and history. 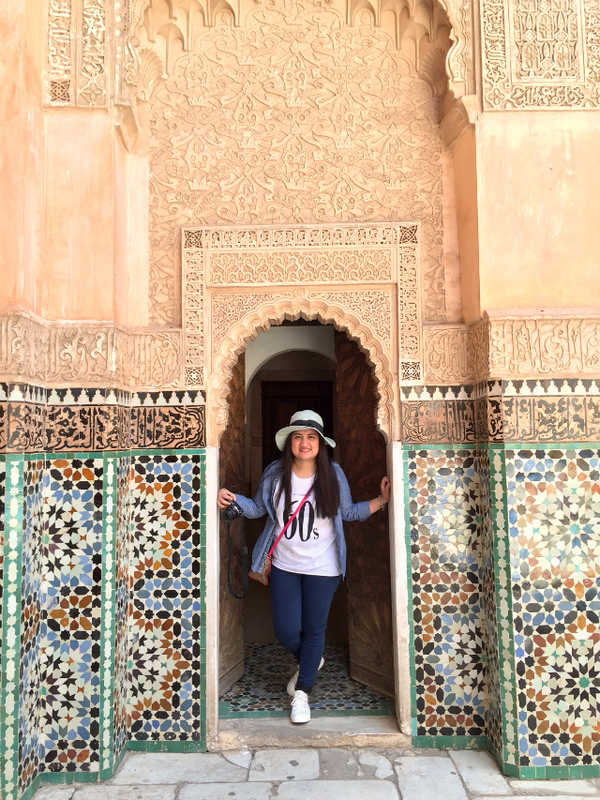 The intricate details of the patio's walls and doorways are so beautifully done and I think would be very hard to replicate now. 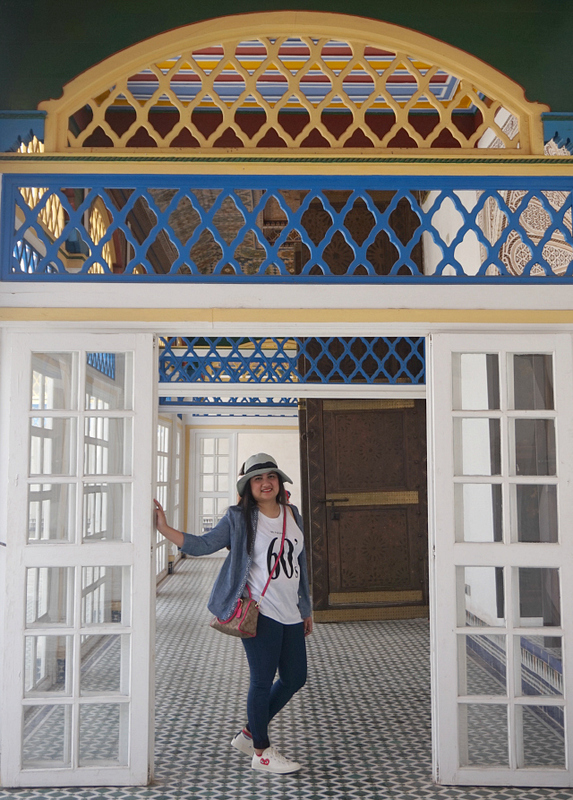 We were also pretty drawn by the colors and design of Bahia Palace, built in the 19th century for Si Moussa, grand vizier of the sultan. The name of the palace literally translates "brilliant" and it couldn't be more fitting. 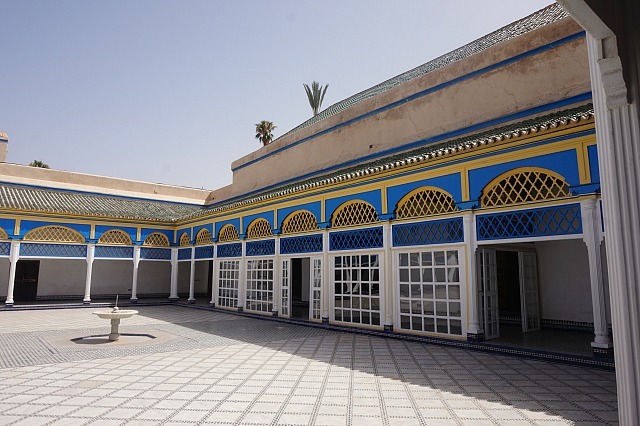 Its 2-acre garden, ceilings, and courtyard look stunning, which is no wonder since it was said to be built by the best craftsmen of the country for over six years to capture the Islamic and Moroccan style and aesthetics. It was a good decision that we had an educated tour guide with us, but we were a bit disappointed that he lacked the fun personality and human connection we were expecting. He would oftentimes tell us to explore on our own as he waited for us in one corner and didn't even bother to conceal his disinterest to take our photos. 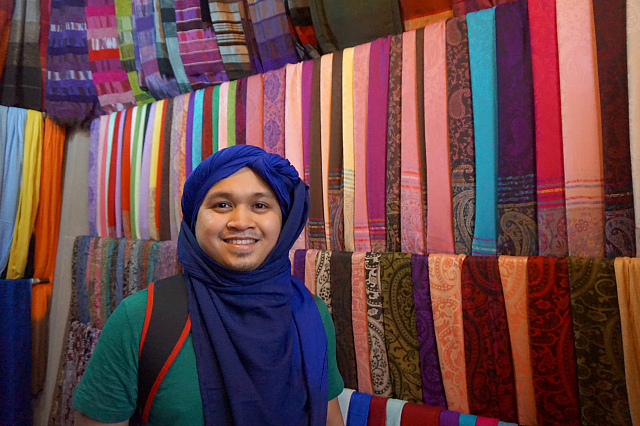 Call me shallow, but apart from learning about a new place, we hire a tour guide so we don't have to take turns in getting our photos, rely on a tripod, or take the most unflattering selfies. We also wanted to visit La Maison de la Photographie and have noted this on our itinerary but he persuaded us that it wasn't interesting enough. 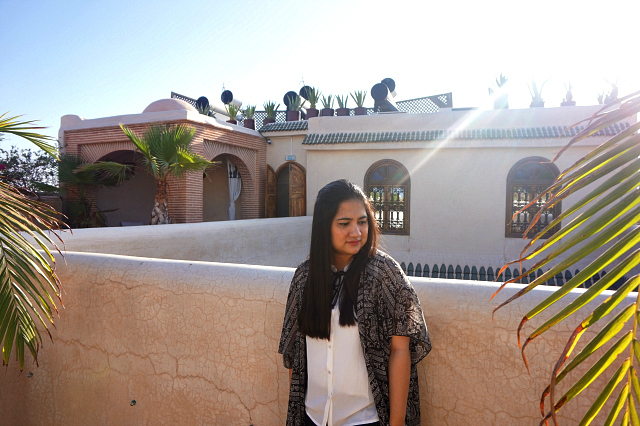 Since we were feeling dead tired, we agreed and headed back to our riad but now looking back, I regretted that decision. I know in my heart we missed out on that one. The days we were on our own have got to be the best part of the trip for a number of good reasons. 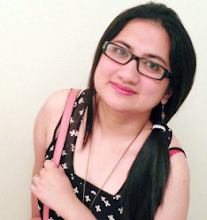 I loved that we weren't time bound and didn't have any expectation on how the day would go. 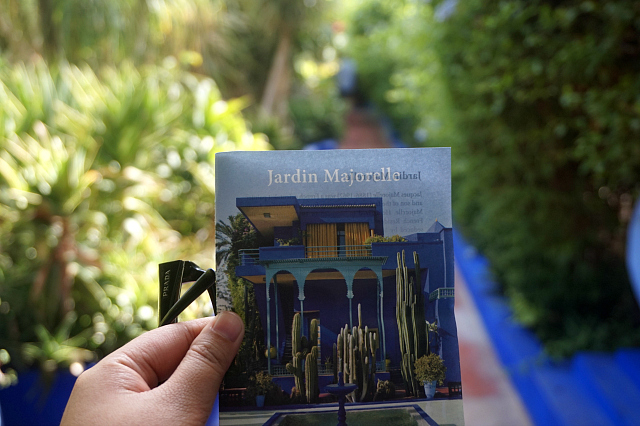 We boarded a cab for the first time to get to Majorelle Garden, a 12-acre botanical garden which also houses the Islamic Art Museum of Marrakesh. Several fountains, bird species, plants and cacti can be seen inside the sprawling landscaped garden. 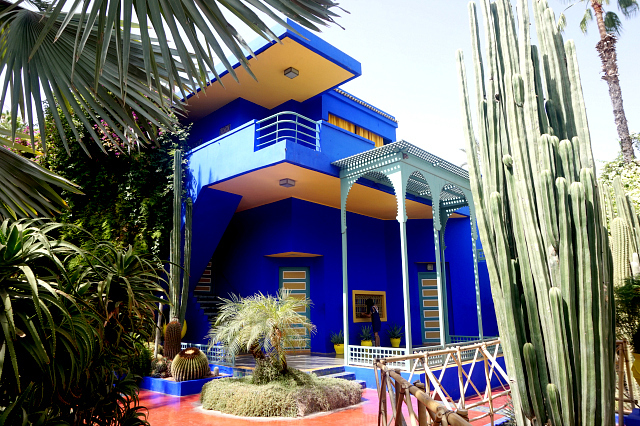 It was designed by French artist Jacques Majorelle and the entire garden is washed overwhelmingly with the boldest cobalt blue shade named after him - the Majorelle Blue. 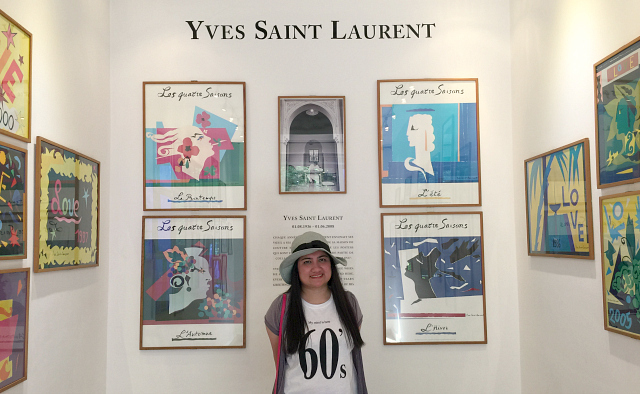 Since 1980, it has been owned by famous designer Yves Saint Laurent and Pierre Berge. 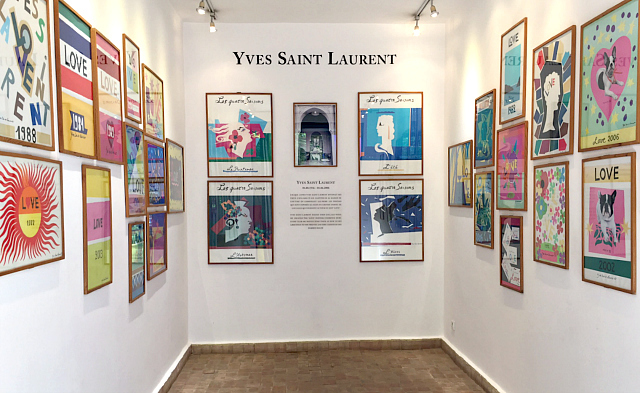 The garden housed Saint Laurent's ashes and also has a small art gallery called Galerie Love displaying some of the colorful "love" cards Saint Laurent designed and sent out to his family, friends, and clients throughout the years. 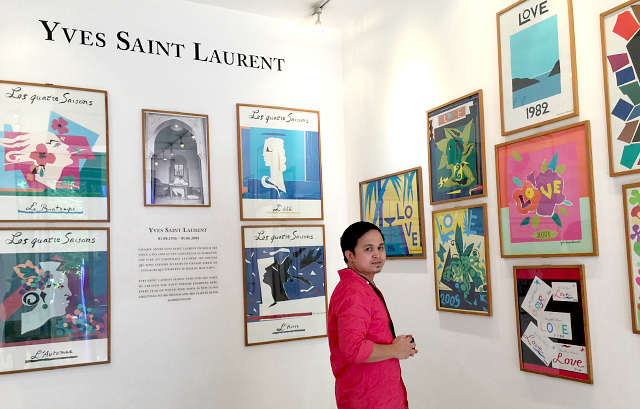 These framed arts surely showcase Saint Laurent's fun and playful side as an artist and truly reflects his more loving and thoughtful personality. 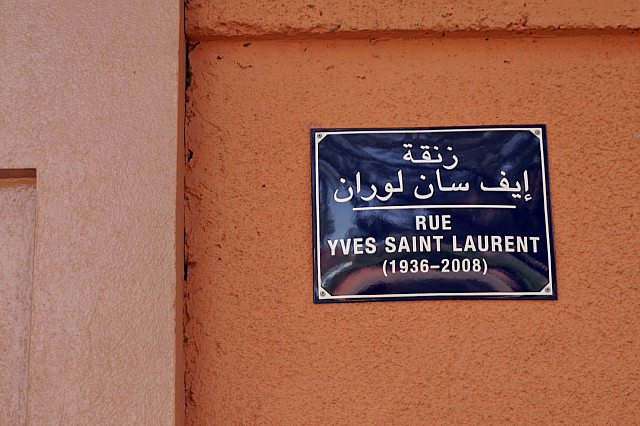 In 2010, the street right across the garden has been renamed after Saint Laurent. 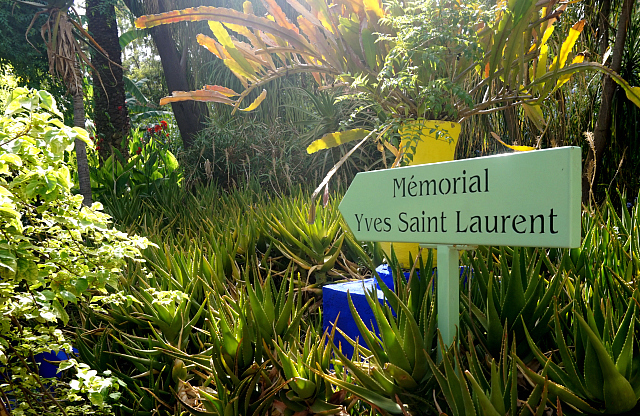 The new street sign can be seen in front of the garden's entrance. 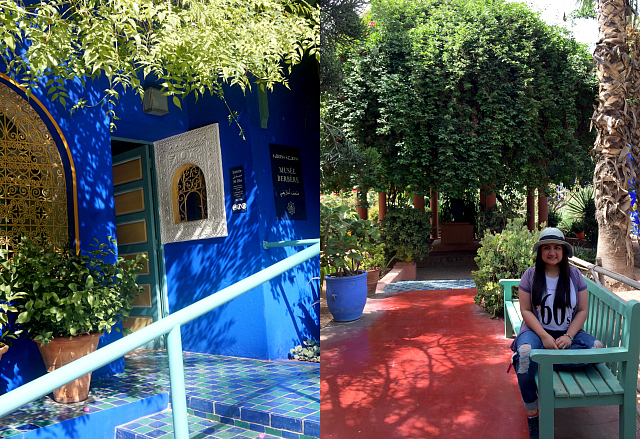 After a quick snack and spending a good two hours inside the Oasis-like Jardin Majorelle, we decided to rent a horse carriage to circle around the city because it felt like the proper "tourist thing" to do. But it was scorching hot outside and we immediately felt quite stupid realizing that the afternoon sun could potentially kill us with heat stroke, so we cut it short and spent the entire day lazing in the park right beside Koutoubia Mosque. We hung out with a group of friendly European painters and young musicians on the park while waiting for the sunset. 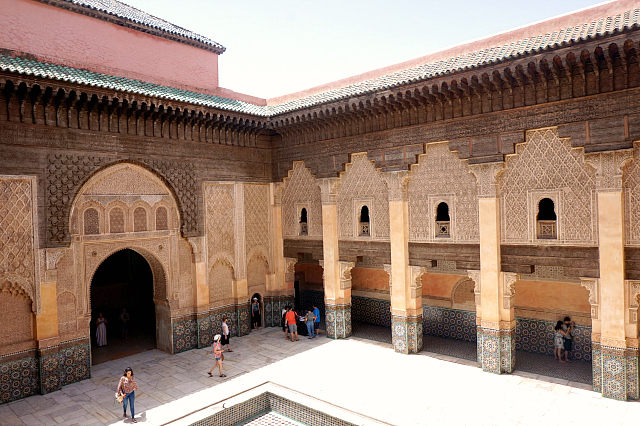 Koutoubia is the largest mosque in the city of Marrakesh located in the southwestern side of the Medina. 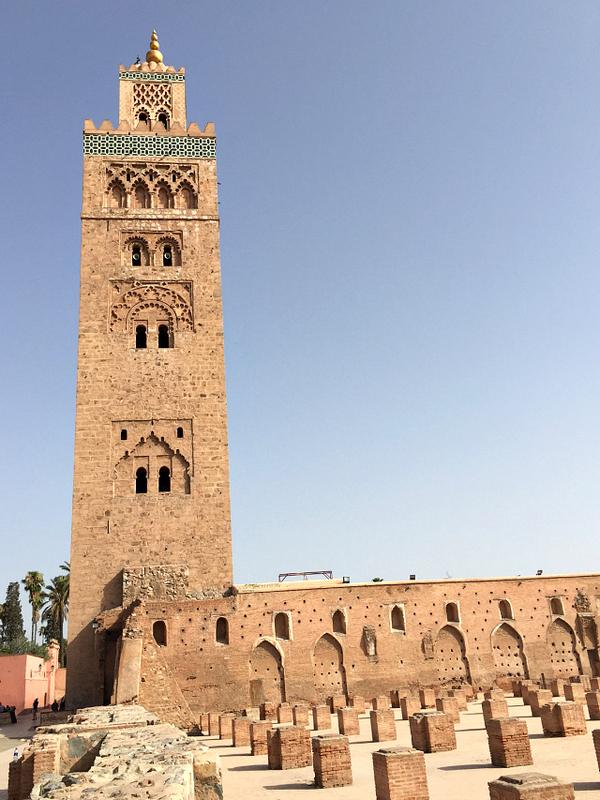 Also known as the Mosque of the Booksellers, their minaret tower is actually one of their most iconic landmarks that caught my attention years ago and started my incessant dream of someday visiting Morocco. It looks extra marvellous at night with all its lights. 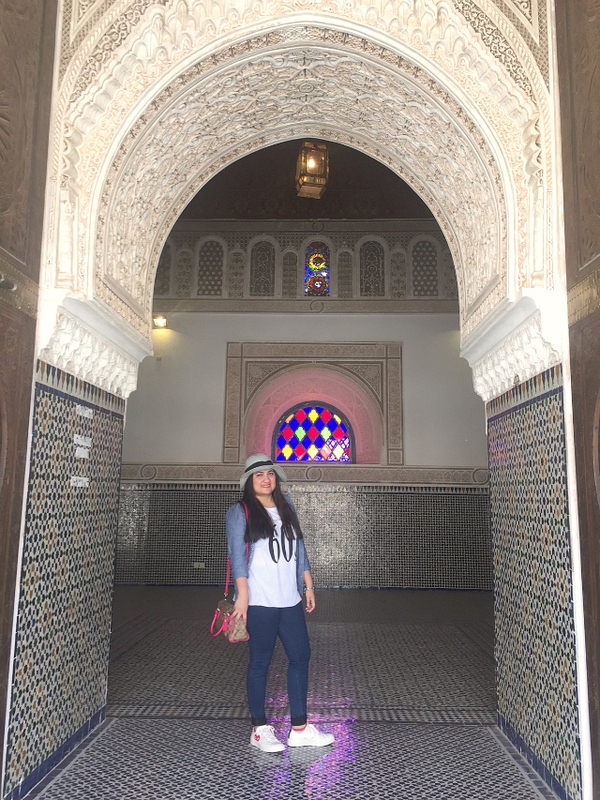 I have yet to visit another city in the world just like Marrakesh where every day is literally a new adventure and every night is a lively party. Marrakesh is just brimming with so much adrenaline and excitement, it's impossible to get bored. I felt like a different person while I was in there, but at the same time I have never felt so comfortable just being myself and completely immersing myself with the place. It might sound crazy, but this city has allowed me to let my guards down, live in the moment, and just enjoy. It's scary, thrilling, and just all out amazing. 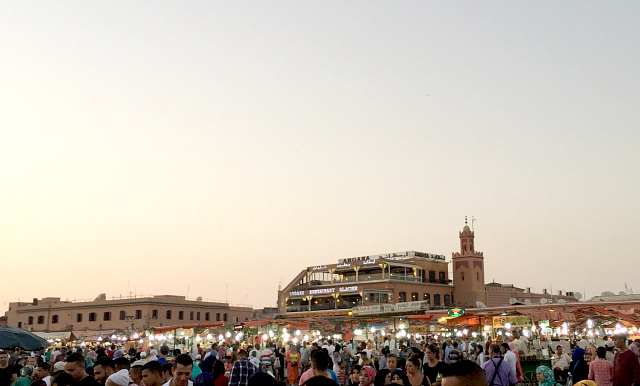 We got to sample every Moroccan street food in Jemaa el-Fnaa, had KFC for lunch just because, got awed by snake charmers in the square, haggled like mad in the souks for literally a hundred souvenirs, and took a million touristy photos for posterity's sake. 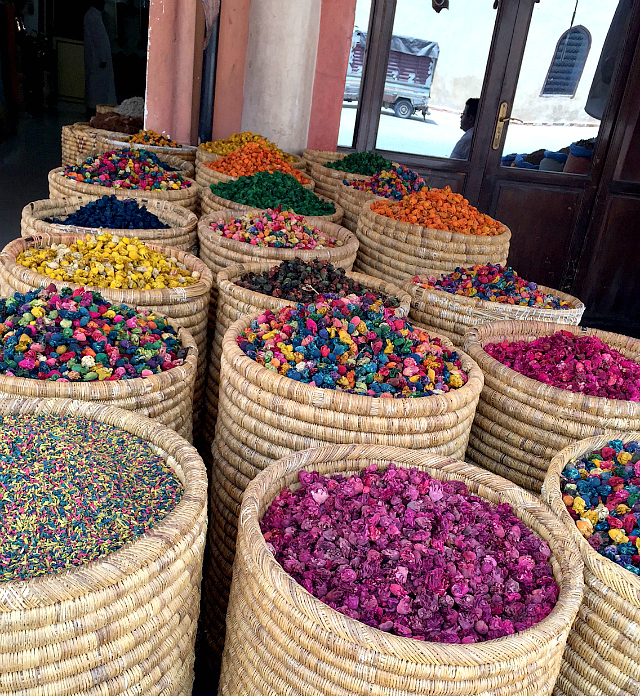 I honestly believe that a five-day stay isn't enough to really cover everything Morocco has to offer. 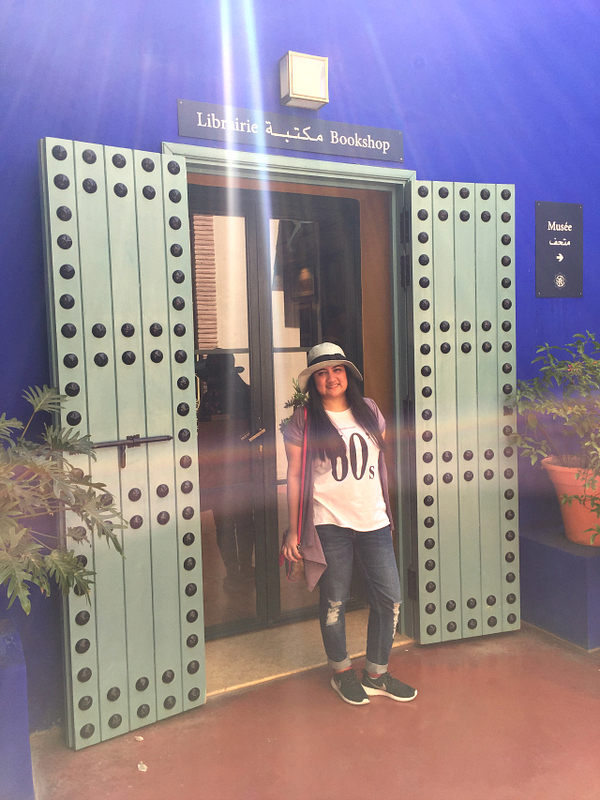 I would have wanted to explore the hippie city of Essaouira, the blue-rinsed city of Chefchaouen, the chilly mountains of Atlas, and even the main city of Casabalanca. 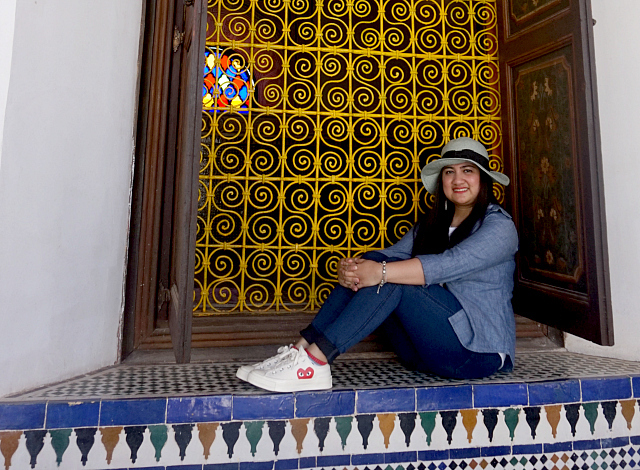 Maybe someday I'd be given the opportunity again to do all that, but I have to say that Marrakesh just in itself already satisfied me and beyond. It was definitely more than what I was expecting. 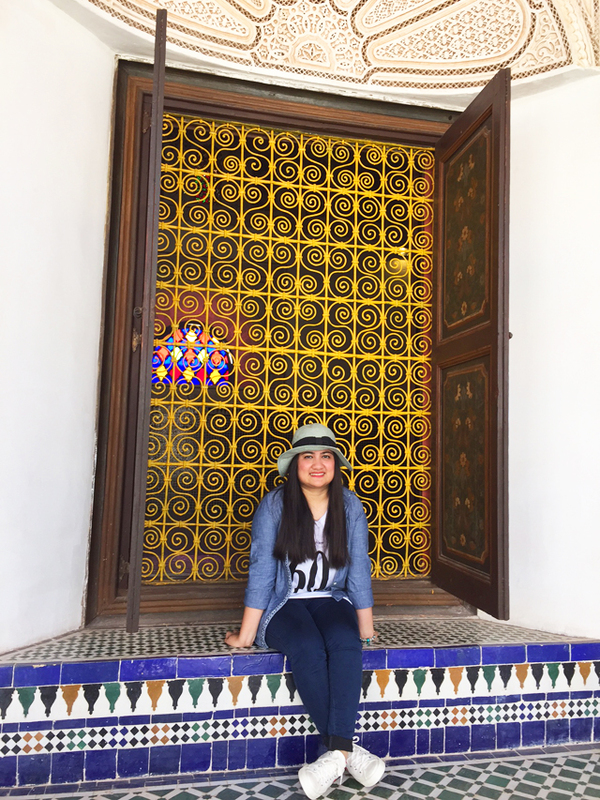 This trip to Marrakesh was undeniably the most jampacked vacation we've ever gone to, and I felt a little emotional leaving the place. 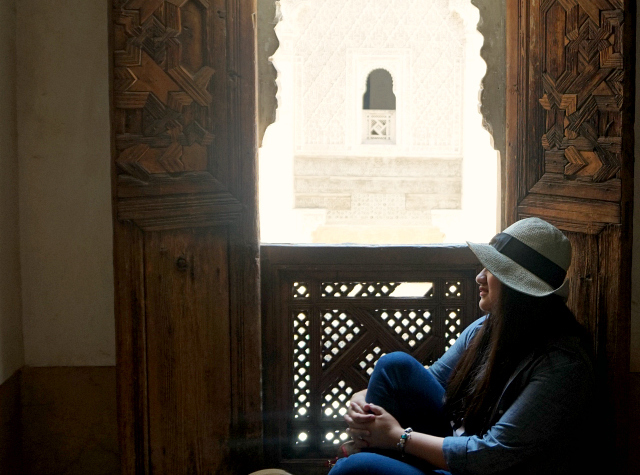 I fell so madly inlove with Marrakesh, with all its unpredictable moments, old world charm, and mad chaos. This is a bucket list check that I would definitely recommend to anyone who's craving for an adventure. You should try this at least once.